Tax time is exciting especially when you are expecting a refund. The anticipation can be overwhelming. Where is the refund? Why is it taking so long? Does it matter that I moved from Yorktown, Virginia to Norfolk even though I gave them an updated address? The questions can be endless. The federal government has solved this “refund anxiety” problem through the wonders of the Internet. 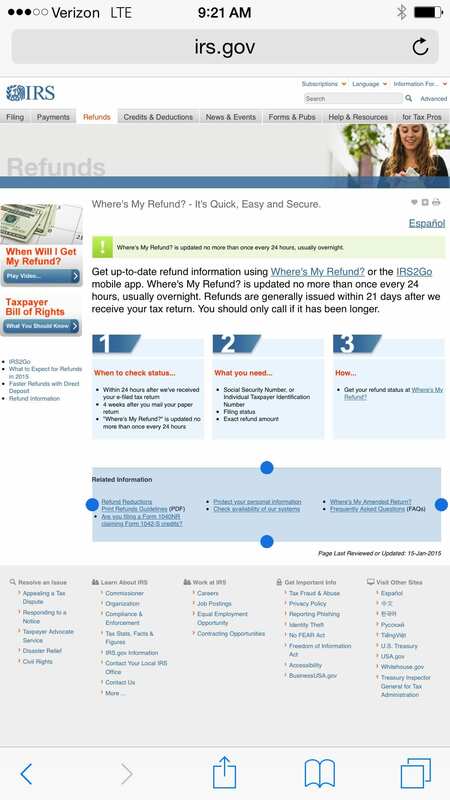 You can now get up to date refund information using “Where’s My Refund?”. The link can be found at http://www.irs.gov/Refunds. The site is updated every 24 hours, generally overnight. Most refunds are issued within 21 days of the receipt of the tax refund. In order to verify your identify on the site you need your social security number or tax ID number, filing status, and the exact amount of the refund. Most of you refund professionals, those that receive large refunds every year already know you will get the refund faster if you file electronically and opt for direct deposit. For those of you planning to get a bankruptcy fresh start with Merna Law, make sure the direct deposit does not go into an account at a bank or credit union you are delinquent with. If you have any lawsuit judgments, all accounts are vulnerable if the creditor can locate the account and garnish it. We are happy to review any direct deposit concerns for our clients. If you are not a bankruptcy client we would be happy to review you case, discuss options, go over costs and payment plans, and confirm the security of your tax refund. Call for a free consultation today 800-662-8813. Our offices also serve the following cities in Virginia: Petersburg, Norfolk, Gloucester, Hampton, Williamsburg, Henrico, Suffolk, Portsmouth, Richmond, to do a Virginia chapter 7 or a Virginia chapter 13. We also prepare Virginia Homestead Deeds.